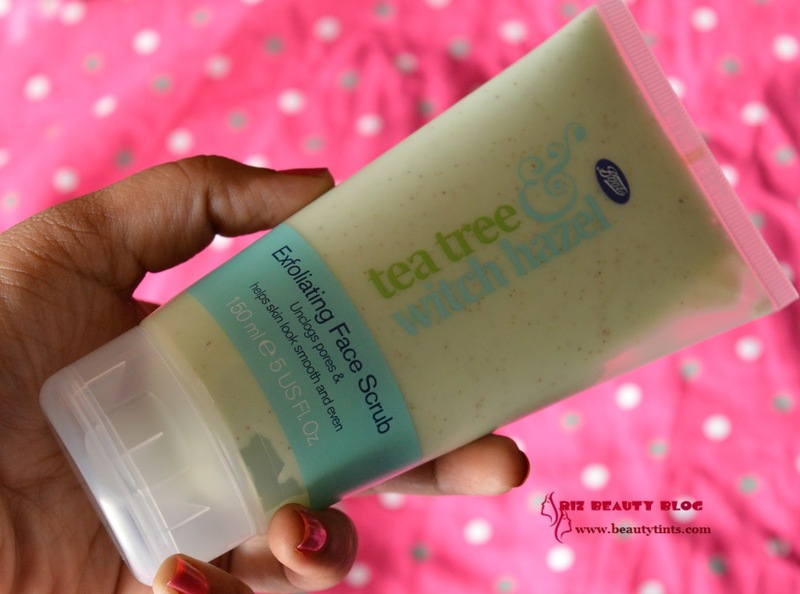 Sriz Beauty Blog: Boots Tea Tree & Witch Hazel Exfoliating Face Scrub Review!!! 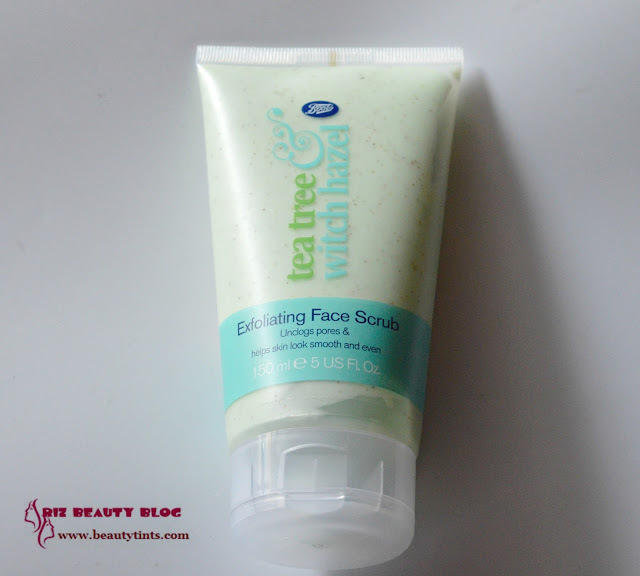 Boots Tea Tree & Witch Hazel Exfoliating Face Scrub Review!!! 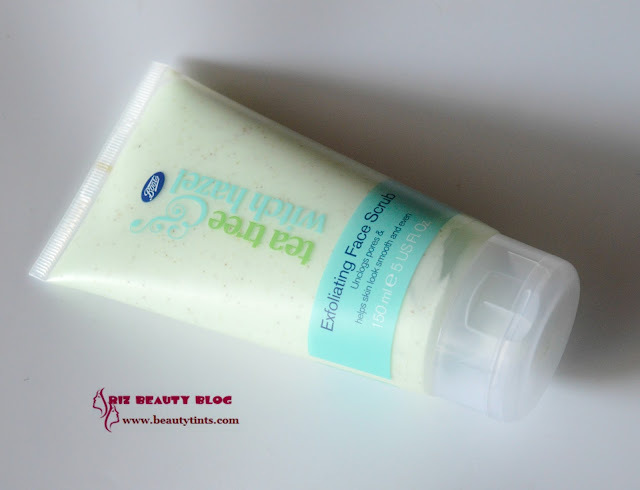 Today I am reviewing a face scrub from famous U.K. brand Boots,which is their Tea Tree & Witch Hazel Exfoliating Face Scrub,which my SIL bought me 6-7 months back and have been using it from then! 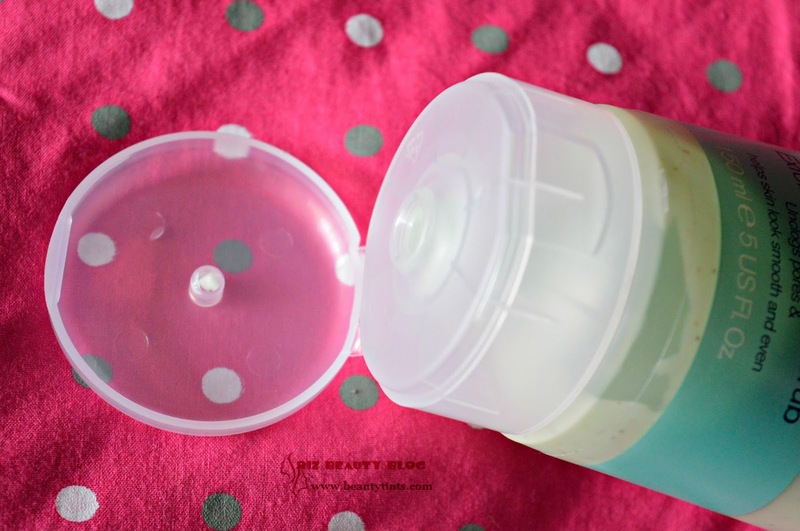 Packaging :This face scrub comes in a sturdy tube packaging with a flip cap. 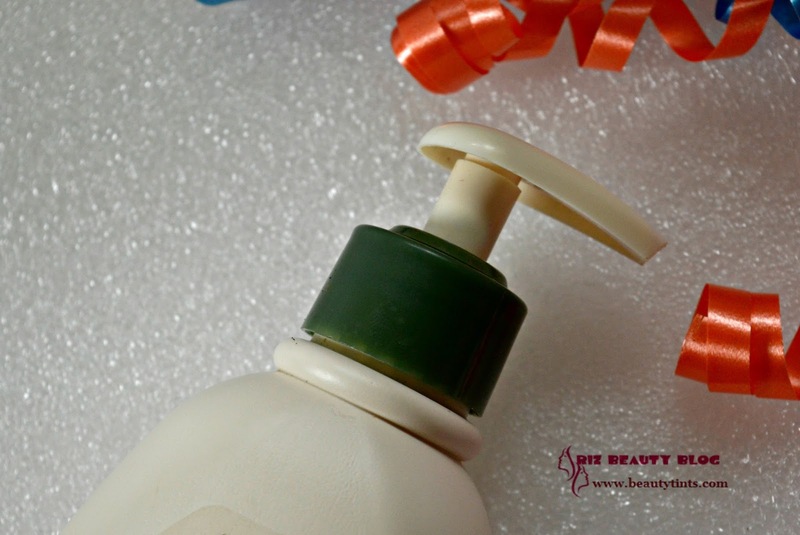 Color and Texture : This is a pale green colored scrub. This light exfoliating face scrub contains antibacterial Tea tree oil and skin calming Witch Hazel to keep your skin clear & healthy. How to Use :Wet your face and massage the scrub onto your skin in circular movements, taking care to avoid the eye area.Rinse thoroughly with warm water.For best results use once a week after cleansing. 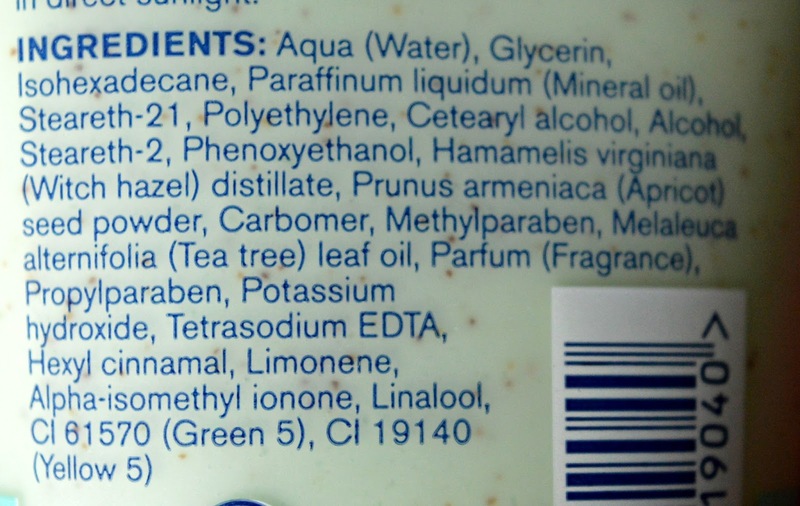 My View On the Product : The Boots Tea Tree & Witch Hazel range consists of many products like nose strips,concealer sticks,mask,face scrub,body scrub etc., today I am reviewing Exfoliating Face Scrub from this range, which comes in a sturdy travel friendly tube packaging with a flip cap.The scrub has a pale green color and has a creamy consistency with small granular particles.The granular particles are not harsh on the skin yet effective in exfoliating the dead cells.It smells similar to tea tree oil.It makes skin smooth and soft.It is good for daily exfoliation but it is not a heavy duty scrub and it cannot remove stubborn blackheads effectively.It doesn't break out the skin and is gentle on the skin.It doesn't dry out the skin post usage.It contains the goodness of Tea tree and witch hazel.It is suitable for all types of skin especially combination to oily skin.It is pricey in our currency and is not available in India.It contains lots of parabens,which is a big concern these days. Final Conclusion about Boots Tea Tree & Witch Hazel Exfoliating Face Scrub!!! 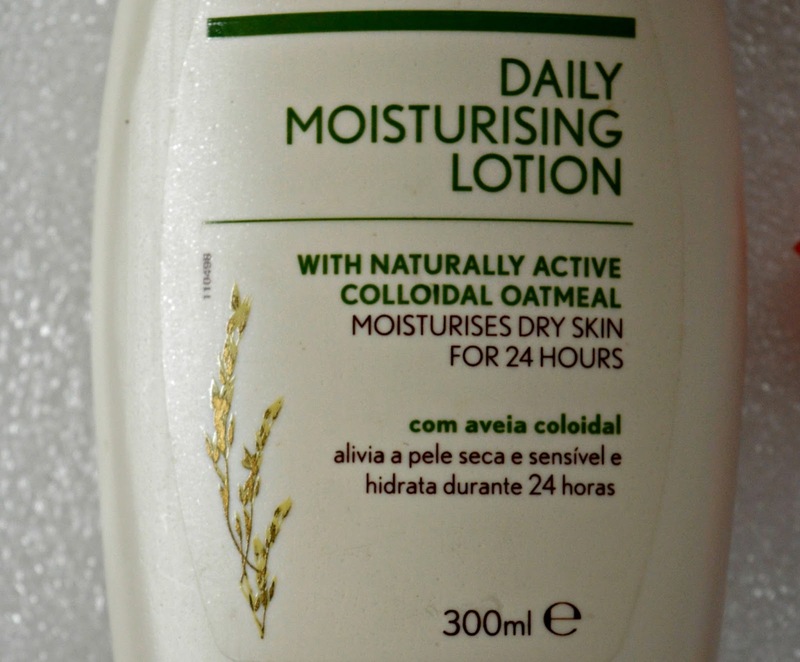 : Those who love tea tree based products and witch hazel based products should give this gentle daily scrub a try!